Mumbai, Dec 28 (IANS) Veteran Bollywood actor Farooque Sheikh died of a sudden cardiac arrest in Dubai late Friday, his long-time co-star and friend Deepti Naval said. “I don’t have the details yet, and I have not been able to speak to any of his family members, but a friend confirmed it to me. I also spoke to Shabana Azmi who was also aware of the sad, shocking and unbelievable news,” Naval told IANS. Sheikh is known for his roles in “Chashme Budoor”, “Saath Saath” among others. “It is unbelievable. I am in a state of shock. He is one of the finest actors in the film industry. He is the one who has always encouraged me to work,” a teary Naval told IANS. “I just got a call from Shabana Azmi. She said he had a massive heart attack in Dubai. They will be getting his body to India. I am in Himachal right now. I am flying back to Mumbai,” she said. She said that his body will be brought to Mumbai for the last rites after completing the relevant formalities in Dubai. Sheikh, 65, was reported to be in a fit condition and had interacted with Naval two months ago at the Sharjah book fair. 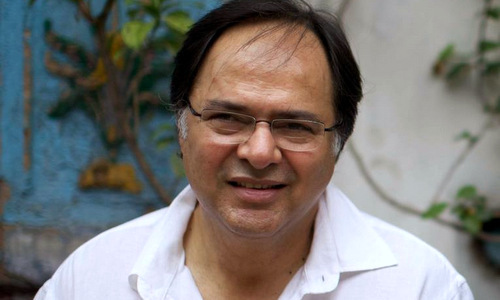 Born March 25, 1948, Sheikh started his Bollywood career in 1973 with the classic “Garm Hava” and later excelled in both parallel and mainstream cinema. Over the years, he became known for his roles in many notable movies, including Satyajit Ray’s “Shatranj Ke Khiladi”, “Umrao Jaan”, “Kissise Na Kehna”, “Noorie”, and “Yeh Jawaani Hai Deewani” in which he played Ranbir Kapoor’s father. He was last seen in Club 60. Sheikh is renowned for his immense contribution to parallel cinema, low-budget high quality movies, theatre and television – the last medium where he hosted a popular talk show, “Jeena Isi Ka Naam Hai”.